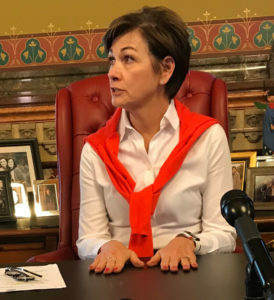 Governor Kim Reynolds is calling on her fellow Republicans to approve changes in the system for nominating Iowa Supreme Court justices. The Republican-led Iowa Senate endorsed a bill on the subject about a month ago. The House of Representatives, which is also controlled by Republicans, has yet to debate the bill on the House floor. The plan that cleared the Senate would change who selects half the members of the state commission that nominates people for openings on the Iowa Supreme Court and Court of Appeals. The governor would continue to appoint eight members of the commission, but Iowa lawyers would no longer take a vote to decide the other eight commission members. Legislative leaders would appoint half the commission. Opponents of the plan say having statehouse leaders appoint members of the panel will politicize the process. Governor Reynolds and others say the process is already political and too heavily influenced by lawyers. 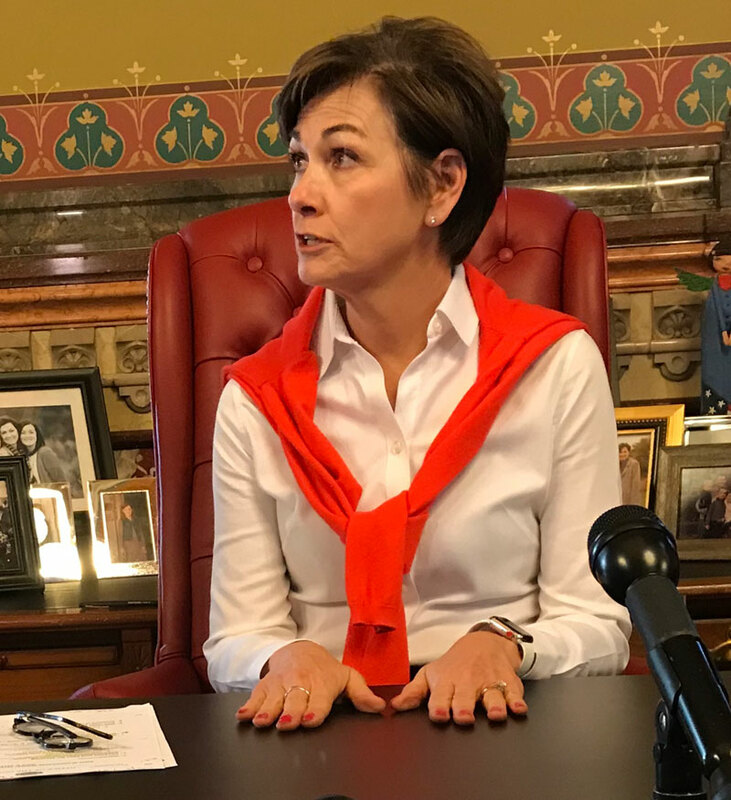 “The basic change that we’re asking for is to have Iowans represented in this process,” Reynolds said. A constitutional amendment passed in 1962 set up the current system for choosing Iowa judges. The Judicial Nominating Commission interviews applicants and submits a slate of three nominees to the governor. The governor then appoints one of those nominees. Reynolds has appointed two justices to the Iowa Supreme Court in the past seven months.